After months of trying to figure out what’s wrong with Molly, we finally found out she has dementia. Our vet said there is no treatment for dog dementia but we can’t just sit back and do nothing. Please help us! I’m sorry you’re dealing with doggy dementia, I know from first hand experience how tough that is, especially if you don’t have the support you need. I don’t know what you think about your vet, but if you aren’t happy with his attitude towards senior dogs, I recommend you find someone who cares. The good news is there are lots of options to try, and I have included a few to get you started. 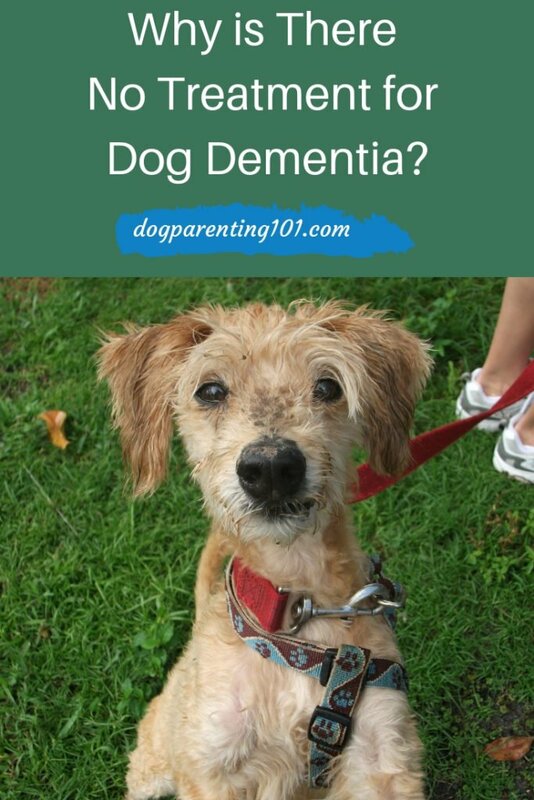 For a more detailed list this article “The Best Natural Treatment for a Dog with Dementia” will help. Valerian root is an herbal supplement with mild sedative qualities, and may help with the anxiety associated with dementia in dogs. When my dog would wander for hours, this CD called Through a Dog’s Ear worked wonders…and that is no exaggeration!! A system of 38 different flower remedies, Rescue Remedy is the one most commonly used for helping deal with anxiety in pets. Here is a link to their website if you’d like more information. I don’t think it’s possible to turn around without hearing something about CBD oil. Please be aware they aren’t all created equal, so here is a link to a brand called Nuleaf many senior dog parents use and love (although it is by means the only one) There is also a link to a podcast I did with an expert from this company. It’s a bit long but informative! Senilife supports brain function in older dogs and contains ingredients such as Ginko Biloba, Vitamin B6, cod liver oil and Vitamin E.
Aktivait is a supplement designed to help maintain optimal brain function in ageing dogs. Nutramind is a high strength support for brain and mental function, consisting of Omega 3s, gingko biloba, fish oils and B vitamins. It is sold in vet offices in the UK, I’m not sure where else it’s available just check their website for more information. Created by the same company that makes nutramind, it is used to calm anxious dogs, cats and horses, and help reduce unwanted behaviours. My dog Red took one in the morning and one in the evening and it helped. Studies have shown acupuncture has helped humans with dementia, and has been known to slow the progression of canine dementia. Whatever your feelings about big brand mass produced pet food, there have been lots of positive results for dogs eating Bright Mind. A naturally occurring hormone secreted by the pineal gland at the base of the brain, it is recommended to help restore the sleep/wake pattern which is often disrupted in dogs with dementia. The Thundershirt is an anxiety wrap with an over 80% success rate and a 100% money back guarantee. Sounds like it’s worth looking into!! Here is a review that will give you more information. Not every one of these recommendations will work for every dog, it’s often a case of trial and error, but I hope you find the number of options encouraging. Please stay in touch and let me know how you’re all doing. 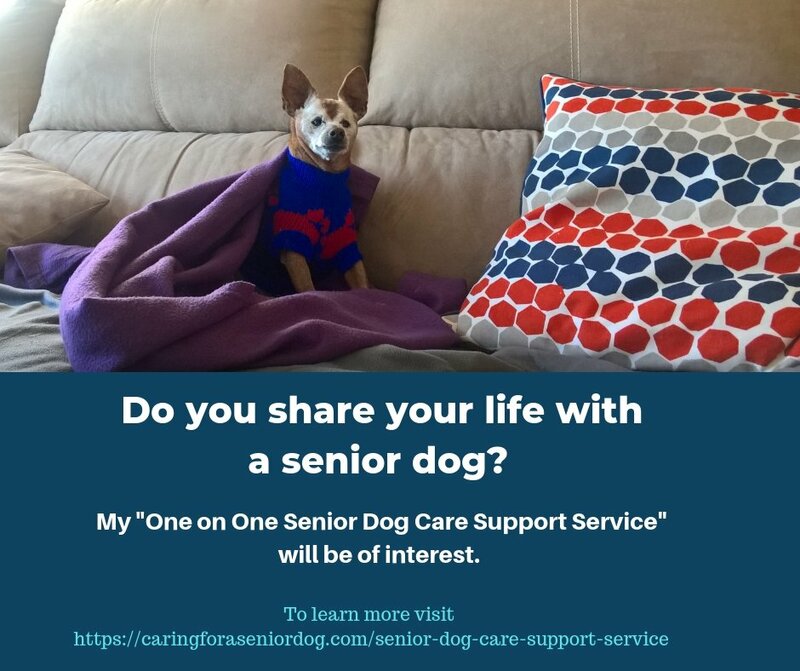 Great post and information as always especially as I am learning how to deal with the old lady LOL, and instead of a thundershirt I have found that putting a t-shirt on her calms her down when needed plus a drop of hemp oil. Glad you found what works for Layla. Do you just give her hemp oil in her mouth or on a treat when she’s feeling anxious? Dementia is painful to watch in people and dogs. 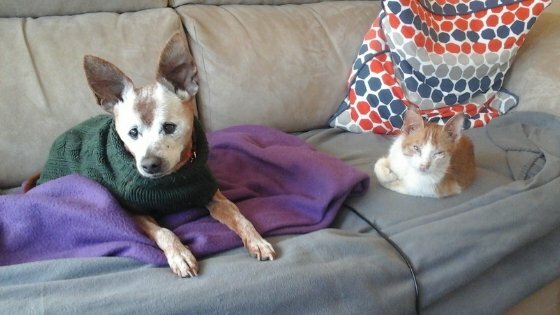 I don’t have experience with severe dementia in dogs, but have had several relatives with severe dementia and it’s heartbreaking. I would never thought of using a Thundershirt for dogs with dementia – it definitely makes sense! It’s definitely painful to watch in anyone that’s affected. I haven’t used a Thundershirt but the success rate in helping with anxiety is impressive. Very interesting article about dog dementia. I have heard of the Selegeline medication. I am glad to hear that it does work for some dogs. I may have to check out Through a dog’s ear.. if that helps calm dogs who have nervous issues, it may help my dog, Bastian. Bastian does currently use the Thundershirt during storms or 4th of July fireworks. It usually does help him calm down. Poor Bastian, I know how terrifying it can be for some dogs. My neighbour’s dog would shake and pant uncontrollably and hide under the bed. It’s good to know there are options to try that can help ease their anxiety. I was not aware that dog dementia exists! A lot of people don’t realise it, they assume the changes they’re seeing are just part of the natural aging process. What I find the most shocking is the number of vets who don’t seem to mention it to their patients’ humans. It is good to know that there are some things to help dogs who have dementia. I hope that they find a cure for dementia for people as well as dogs someday soon! There are options for dogs, sadly many vets don’t mention them! I agree, I do hope they find a cure soon.